"No Place for Fear" - Greg Laurie daily devotion - May 19, 2011"
Peter was willing to put it all on the line. He and the other disciples had been straining against the waves and wind all night long when Jesus appeared to them, walking on the water. Wanting to prove his courage to Jesus, he made an amazing statement: “Lord, if it is You, command me to come to You on the water” (Matthew 14:28). These were rough seas, and Peter was willing to literally step onto them because He was looking at Jesus. That gave him confidence and courage. It went well for awhile until Peter started to sink. And why did he sink? Because he took his eyes off Jesus and put them on other things. The Bible tells us, “When he saw that the wind was boisterous, he was afraid” (verse 30). Circumstances can be frightening. When your boss calls you in and tells you the company has to downsize and they are letting you go, when the doctor calls you with the test results that are not good, when you open that letter from an attorney that says you are being sued, it can scare you. It can devastate you. And it can cause you to take your eyes off Jesus. Where fear reigns, faith is driven away. But where faith reigns, fear has no place. Faith and fear don’t mix. As you bring in faith, fear will walk out the back door. But if you invite fear as a resident in your life, then you will drive faith away. Peter had faith. He had his eyes on Jesus. He was doing the impossible. But then he started to sink, because he took his eyes off Jesus. In his case, he looked at the wind. In our case, it might be something else. But when we forget God, we will start to sink. There is nothing in this book that is not essential for a Christian to build a strong foundation on the Word of God. It is a book that you will come back to over and over again, as you brush up on that which really matters in life. It really does contain the essentials. I want to send you your personal copy of Essentials in appreciation for your gift to Harvest this month. You can take the biblical doctrine you find in it’s pages and run with it and live it. I would describe Essentials as theology without apology. 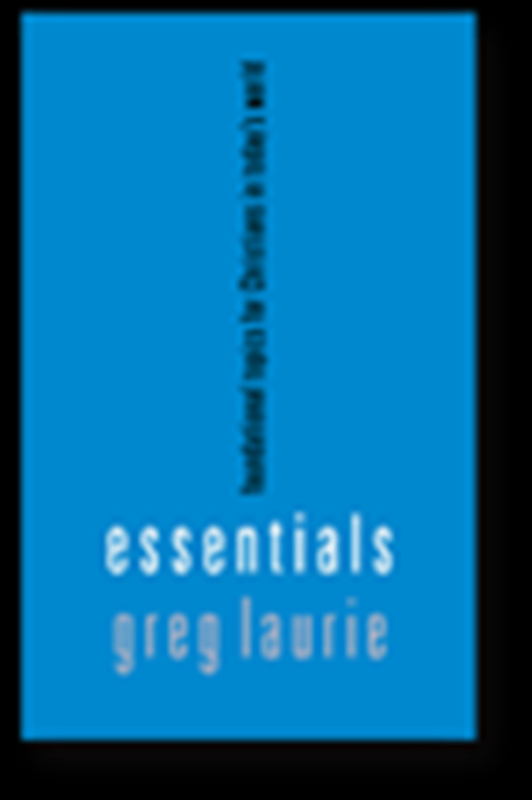 You can have your own copy of Essentials in appreciation for your gift to Harvest Ministries this month.